Please check the condition of the goods upon delivery for quality defects and transport damage. In accordance with the law, defect or anomalies in the delivered goods are to be reported in order for us to take necessary action. Fondues Wyssmüller®, in Gruyère, Switzerland guarantees that the dairy products won’t undergo any alteration during shipment per Post. Dairy products have to be refrigerated at 5°C immediately after delivery. Once your order has been confirmed and your payment has been validated, you will receive an invoice confirming your purchase. On the online shop, our prices are quoted in Swiss francs (CHF), with all taxes already included. Delivery fees are stated separately, based on the actual selections made by the customer and the purchase amount. You will need to provide your Visa, Mastercard or PostCard number, safety number as well as expiration date. The card will be charged after billing for your purchase, in accordance with the methods agreed upon with the bank. In some instances, the Card-Reader (web banking safety tool) provided by your bank will be required, for extra safety. This payment mode is subjected to prior agreement by Fondues Wyssmüller® in Gruyère, Switzerland. A specific request shall be sent by email. If your request is accepted, an invoice will be joined to your parcel, along with a payment slip, payable within 10 opening days following the delivery. In case of non-payment or late payment on the due date, all debts to Fondues Wyssmüller® in Gruyère, Switzerland are immediately and fully payable. Failure to respect the due date can lead to extra fees. All personal data shall be considered confidential. 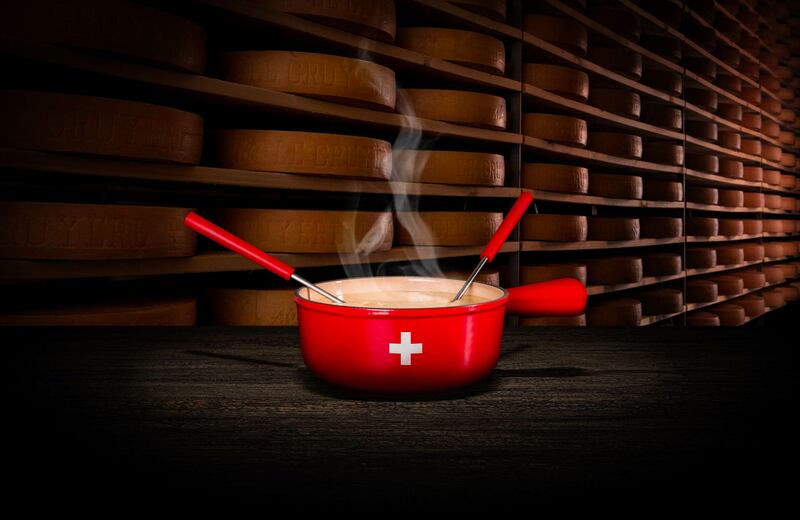 Data required for the processing of orders will be subjected to computer treatment exclusively for sales and promotion activities of Fondues Wyssmüller® in Gruyère, Switzerland. We send our parcels to accurate and valid mailing addresses. Items ordered and delivered by Post cannot be returned or exchanged. The firm Les Fondues Wyssmüller®, in Gruyère, Switzerland, guarantees the quality of the delivered goods up until the delivery of the parcel by Swiss Post. It is responsible of the quality of goods in case of alteration during the time of delivery (up until the time of delivery announced by the Swiss Post Track & Trace tracking system). Important reminder: dairy products have to be refrigerated at 5°C immediately after delivery. Delivery is carried out by Swiss Post, normally within a maximum of 24 hours. Orders placed by 3 pm are processed and shipped on the same day and are normally delivered the next morning. Saturday delivery by 10 am throughout Switzerland. When public holidays take place during the week, we can’t keep up with our normal shipping pace. Kindly take this into consideration when placing your order. In the event of a dispute, the place of jurisdiction is Bulle, canton of Fribourg, Switzerland, resp. Tribunal de La Gruyère. The applicable law is the Swiss Code of Obligations.